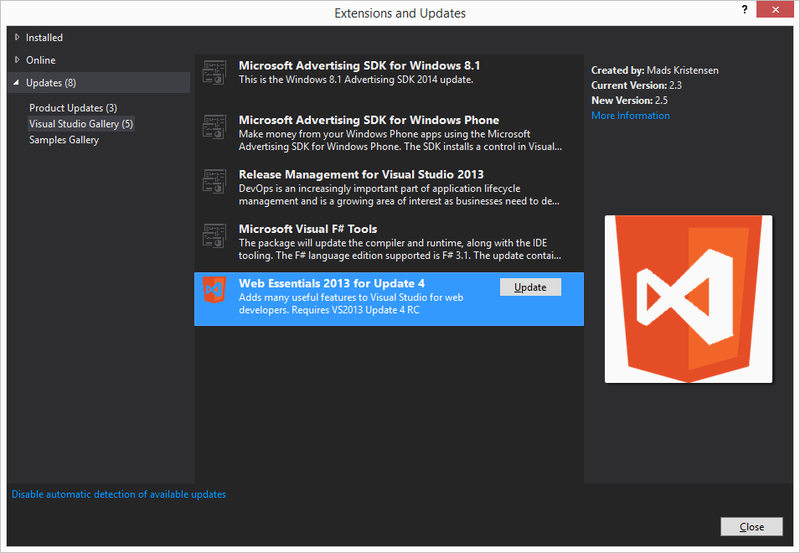 First you must make sure that you have Visual Studio 2013 Update 4 installed. If no, go in the notifications Icon at the top, and click on Visual Studio Update 4. 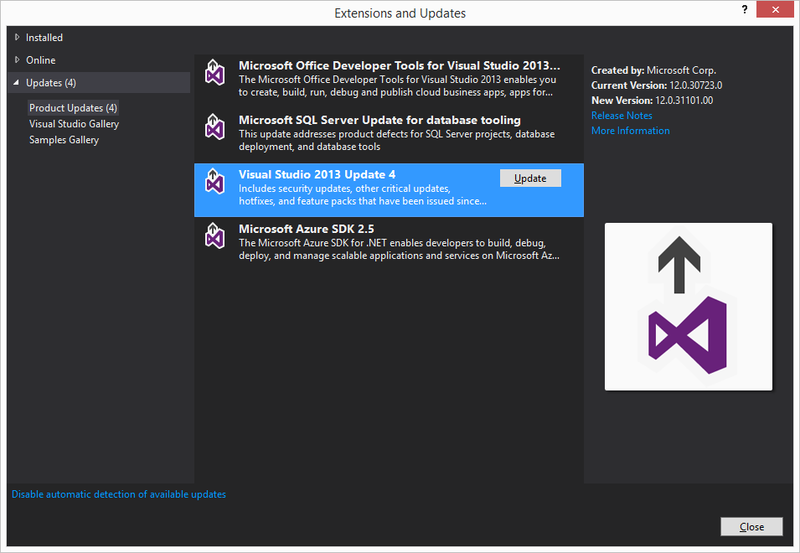 Else you can also go in the Extensions and Updates window, select the Visual Studio 2013 Update 4, and click Update. If you have Web Essentials 2013 Update 3 installed, it will prompt you to check for Web Essentials updates. 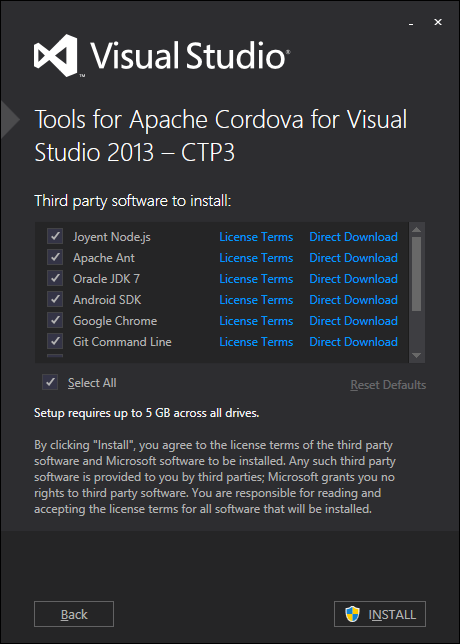 Once Update 4 is installed, next is to install the Visual Studio Tools for Apache Cordova. 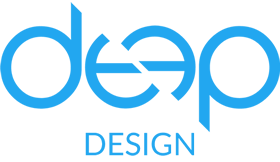 You can download the tools from here. 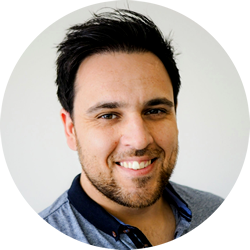 What this update does is install several SDKs to be able to develop cross-platform apps. Thinking of it, this is the first time I’m seeing an Android SDK being installed on my laptop. Maybe finally I will make my Battey Peek app cross-platform as well. It takes some time to install, so I’m off to make a cup of tea for now. Apparently it’s going to be a long night! I will post Part 2 of this post, but this should be enough for now to get ready and start developing those new apps 🙂 Happy installing! I will be waiting for a post on how to make native android app(C#) using VS 2015 !